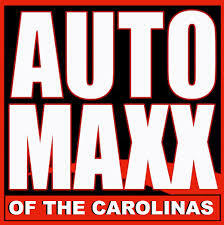 Automaxx of the Carolinas owner Johnny Dangerfield explores the latest numbers from South Carolina’s automotive industry. CHARLESTON, SOUTH CAROLINA, UNITED STATES, November 9, 2018 /EINPresswire.com/ — South Carolina’s automotive industry now has an annual economic impact in excess of $27 billion, making it a vital and integral part of the state’s economy. Accordingly, the state of South Carolina is home to an incredible array of companies supporting every aspect of the auto industry, including automotive manufacturers, parts suppliers, assemblers, and raw material producers, as well as dealerships such as Johnny Dangerfield’s Summerville-based Automaxx of the Carolinas. Almost 30 years on, South Carolina has established itself at the forefront of automotive manufacturing, currently leading the United States in the export of passenger vehicles for international markets. Elsewhere, South Carolina also ranks first in terms of both the production and export of tires, accounting for over 30 percent of the U.S. market share, according to Johnny Dangerfield. Between 2011 and 2017, this number increased by over 20,000, attracting $8.7 billion in capital investment during the same period, and perfectly demonstrating South Carolina’s continued and increasingly rapid growth across the automotive sector. “Over the last 20 years, the size of the state’s automotive industry has effectively quadrupled,” adds Johnny Dangerfield. One such business, alongside the likes of BMW, Bridgestone, Mercedes-Benz, and Volvo, is Dangerfield’s own highly successful independent automotive dealership and service center. Initially founded in 1995 as Johnny’s Truck and Auto Center in Moncks Corner, and since rebranded Automaxx of the Carolinas and today based in Summerville, the business now sells upwards of 2,000 vehicles annually under Johnny Dangerfield’s expert direction.